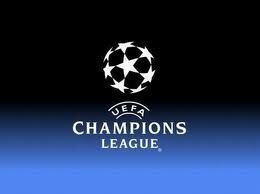 Tuesday’s UEFA Champions League Semifinal match was between Bayern Munich and Barcelona. Video Highlights are available for readers in the U.S.
Bayern Munich was playing at home in the Allianz Arena where the German champions destroyed the Spanish soon-to-be champions by a 4-0 score. The Germans were overpowering and completely dominated throughout the entire match. Barcelona looked tired, weak and quite poor, especially in contrast to Bayern Munich.